Cheers! Yeah it's an edit coming out soon called "Tropical Thunder"! hellz yeah ! i think it will be ! 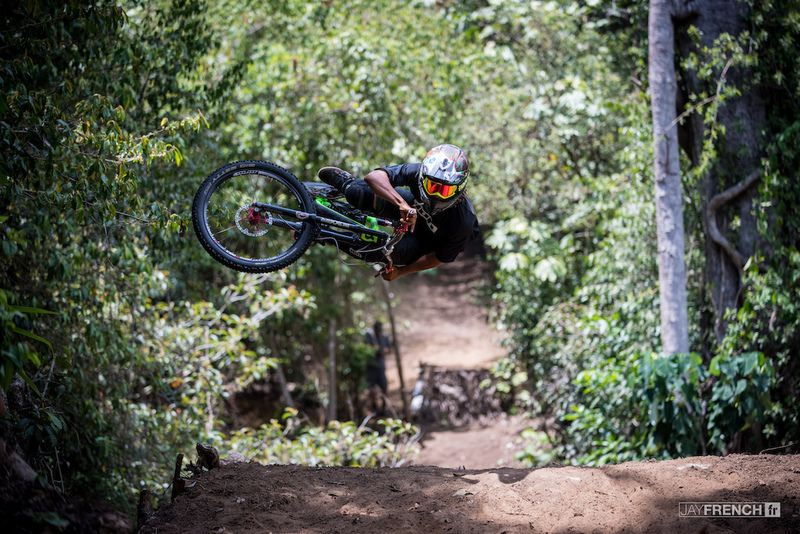 Nah @mountainbiker-finn it's part of a 'mamba-flip' step up sequence. He's rotating! Oh okay that makes sense! photo of the year definitely ! Part of Nick's flip sequence mate. Maybe he came in at like mach 5 and is still trying to scrub from where that guy is standing. Yeah i saw the sequence. FLATTTT ! sick snap !